No matter if you are looking for exercise, a shortcut for fishing/hunting, or just want to get outside and enjoy nature, Rend Lake Bike Trail is where you want to be. So grab your bike and helmet, or just your walking shoes and enjoy over 20 miles of trail that travels through the scenic wonderland of Rend Lake. Location: Southern Illinois, south of Mount Vernon at Rend Lake and Wayne Fitzgerald State Park. Take exit 71 off of I-57, head west for 2.7 miles, then turn right (which is north) onto Rend City Rd. and follow it for 3 miles. Many access points along any section of the trail. The Rend Lake Bike Trail offers over 19 miles of paved trail that meanders through some of the most diverse and scenic habitat that Southern Illinois has to offer. The trail passes though bottomland hardwoods, restored prairie grasslands, wetlands and riparian ecosystems. Its most compelling scenic feature is Rend Lake, second-largest man-made lake in Illinois, with 19,000 acres and 162 miles of shoreline. The trail skirts the southern and eastern sides of the lake, and will be 33 miles in length when remaining segments are completed. Plans also include the trail's extension to neighboring communities. The trail was built as a result of the "Southern Illinois Regional Bicycle Trails Plan." The planning and management team includes the U.S. Army Corps of Engineers, Illinois Department of Natural Resources, Rend Lake Conservancy District, and Rend Lake College. 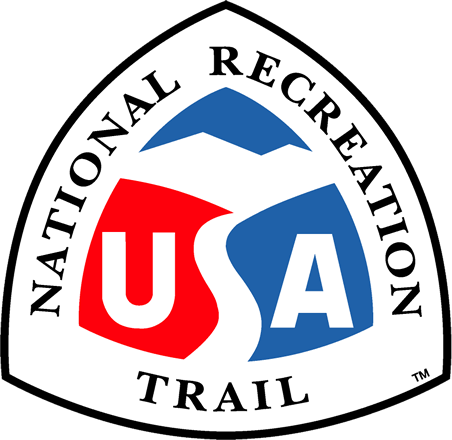 The trail connects many of the amenities of the Rend Lake recreation complex, including the Rend Lake Resort, Rend Lake Golf Course, campgrounds, beaches, picnic areas, Rend Lake Visitor Center, Southern Illinois Art and Artisans Center, and Rend Lake College. Another distinctive attribute of the Rend Lake Bike Trail is its 14 miles of concrete surface, which allows people with disabilities excellent access to the scenic areas surrounding the lake. Bike trail at Sandusky Campground.